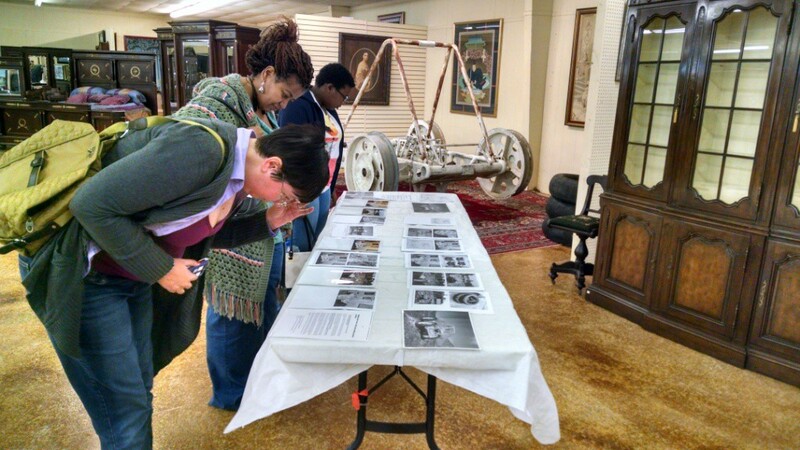 Editor’s Note: Buddy’s Antique Auction in Arab, Alabama might not be the first place you’d look to buy a genuine Lunar Rover — but it should be! 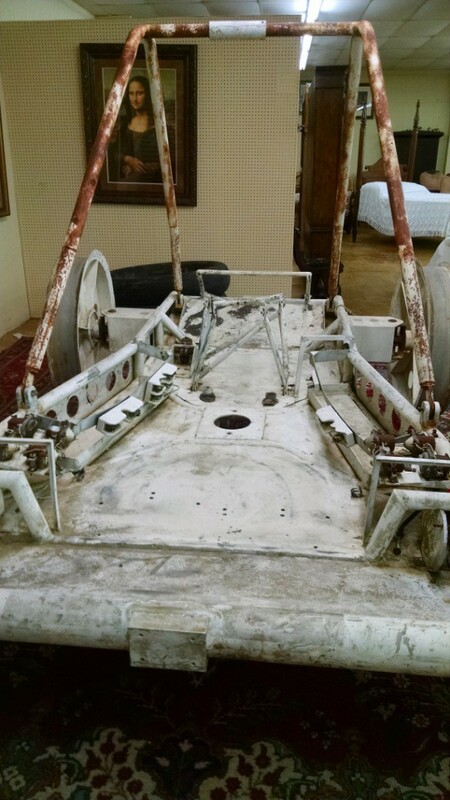 The salvaged LRV recently in the news was scheduled for auction on November 21. By Dawn Sabados: Around 20 people turned up for today’s auction, including the seller, the auction house staff, and the three looky-loos I brought. Only five of us signed up to bid. I was #1. There was also an online auction open, but there wasn’t any noticeable activity from that. One of the bidders asked a lot of questions about authentication before the auction. They don’t have a full chain of custody and the retired NASA employee who confirmed the origin by comparison to historic photos had not worked with the prototype when it was at MSFC. We got a late start, with the auction starting at closer to 12:30 than noon. Bidding started at $25,000 and ended at $30,000 which did not meet the reserve. I have no idea what the reserve was. At the beginning of the auction, we were told we’d find out at the end of the auction, but that information wasn’t included. 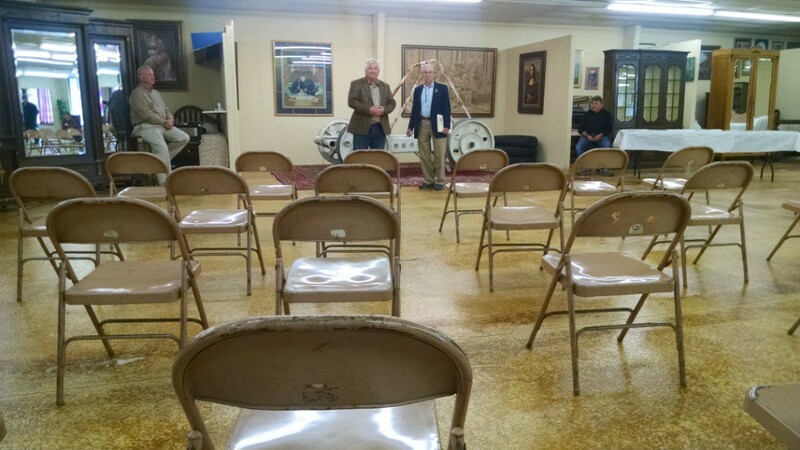 As it stands, the auctioneer told us that we were welcome to make an offer directly to the seller. During the auction, we were told someone overseas had offered $250,000 for it, so I certainly won’t be making an offer. Dawn Sabados looking over the provided documentation. A look at the remaining interior structure. The view from the back row during the auction. 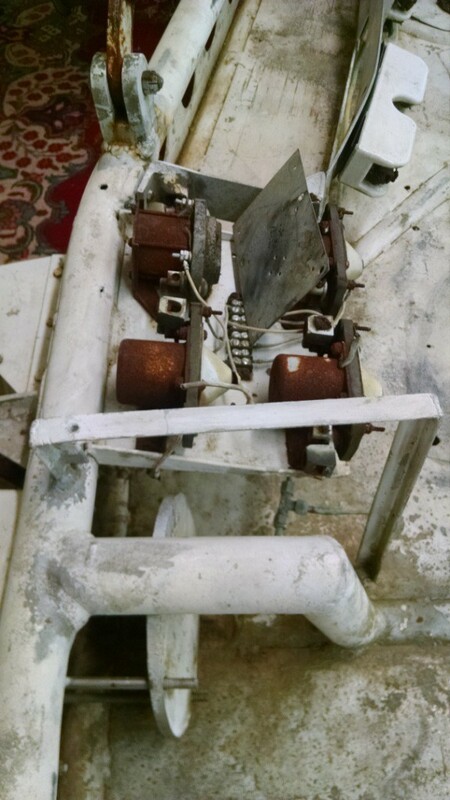 Close-up of what is left of the electronics. This entry was posted in Deep Space 770 and tagged Dawn Sabados, NASA by Mike Glyer. Bookmark the permalink. I’m not sure of the appeal of this alleged lunar rover. I don’t think any of the rovers that went to the moon were ever brought back, so this thing never went to the moon. Perhaps if it had been used in training, it might have some appeal. Or it could be a piece of random junk that resembles a lunar rover. It might be time to admit that the outrage over the near-junking of this thing was overdone and premature. Dave, I suspect the sellers aren’t making a distinction between the value of flight, test, and concept vehicles. To the local area, IF it’s real, it has some value as part of our history. But even that value is an order of magnitude lower than the opening bid. Jim, sadly, if anything, that coverage may have convinced the owner that he should hold out for a better price. @DMS: Interesting thought re the coverage. 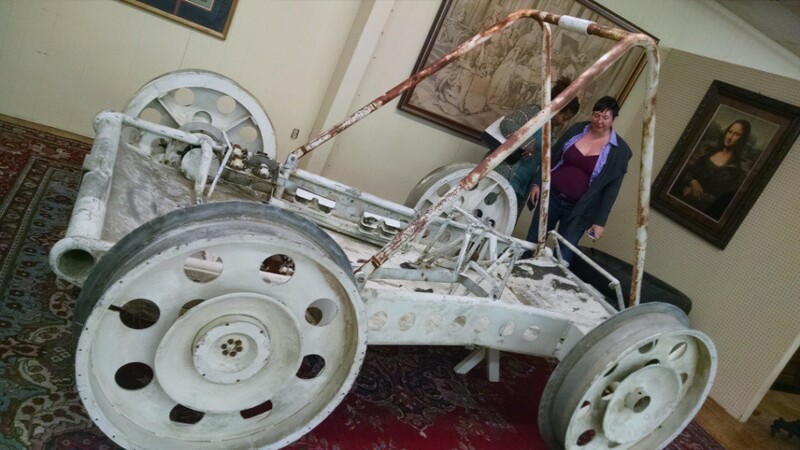 Compare that Lunokhod 2 (actually on the moon), sold for $68,500 back in 1993 to Richard Garriott, a.k.a. Lord British, creator of the Ultima video games. Yeah, this is only historical in the sense that every nut and bolt that NASA has ever bought is ‘historical’. Why is there a license plate space on the back? Did they put license plates on the rovers? Was this supposed to be street legal? Lunarian cops are infamous for their revenue-oriented “traffic enforcement.” It just made sense to be compliant. And Luna is supposed to be a Libertarian paradise…. NASA wanted it so it could be cleaned up and displayed. I’m slightly suspicious about authenticity, but if real, hopefully it will make it to a museum.